Betsafe – Daily Wager Rewards! Play Netent classics to win up to 500 Bonus Spins, every day! Awesome 5-day campaign running right now at Betsafe where players can wager on some exciting Netent slots to win daily Bonus Spins on their exclusive game, Moonshine Riches™, designed in association with Netent. A modest deposit and wagering requirement are needed every day to get a share of the Bonus Spins. Daily Casino Boosts: Log-in every day into your Betsafe account to enjoy a daily offer for tournaments with cash prizes, wager rewards, Bonus Spins on deposit or a generous deposit bonus. 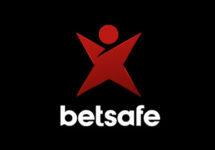 Wagering requirements apply to all offers except cash prizes, subject to the Betsafe bonus terms and conditions. Jump on to the reels of some classic Netent slots to enjoy up to 500 Bonus Spins on Moonshine Riches™. Simply deposit minimum €20 and wager at least €50 on selected games on the day you want to participate in the promotion to have the Bonus Spins instantly credited once all requirements are met. Only wagering on the eligible games contributes towards completing the daily requirement. A surprise amount of Bonus Spins will be added to the accounts of all qualifying players. To play them, players can simply open the game Moonshine Riches™. 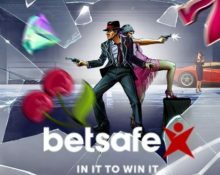 Wagerinng requirements for the Bonus Spins is 35x FS winnings within three days, subject to the Betsafe bonus terms and conditions. Launched in 2006, the casino is operated by BML Group Ltd. under MGA and UK licenses. The player has the choice of Casino, Sportsbook, Live Betting, Live Casino, Poker and Virtual Sports. The Casino section has a vast array of games from Netent, 1×2 Gaming, 2BY2 Gaming, Bally, Barcrest, Big Time Gaming, Blueprint Gaming, Core Gaming, Fantasma, Foxium, Fuga Gaming, Game360, GameArt, Games Lab, Games Warehouse, IGT, Inspired Gaming, iSoftbet, Iron Dog Studios, JustForTheWin, Leander Games, Lightning Box, MetaGU, Microgaming, NextGen Gaming, NYX Interactive, Old Skool Studios, Ongame, Pariplay, Play’n Go, Pragmatic Play, Push Gaming, Quickspin, Rabcat, Realistic Games, Red Tiger, Scientific Games, Side City Studios, Sigma Gaming, Skillz Gaming, Stakelogic, Thunderkick, WMS and Yggdrasil. The Live Casino tables are powered by Evolution Gaming, Extreme Life Gaming and Netent Live.